Riders from the Cranberry Acres School can participate in horse shows off the property once the rider has the experience from competing in school shows held at Cranberry Acres. Shows are posted in the lounge with costs and show programs. At this time we will attend hunter shows and jumper shows. 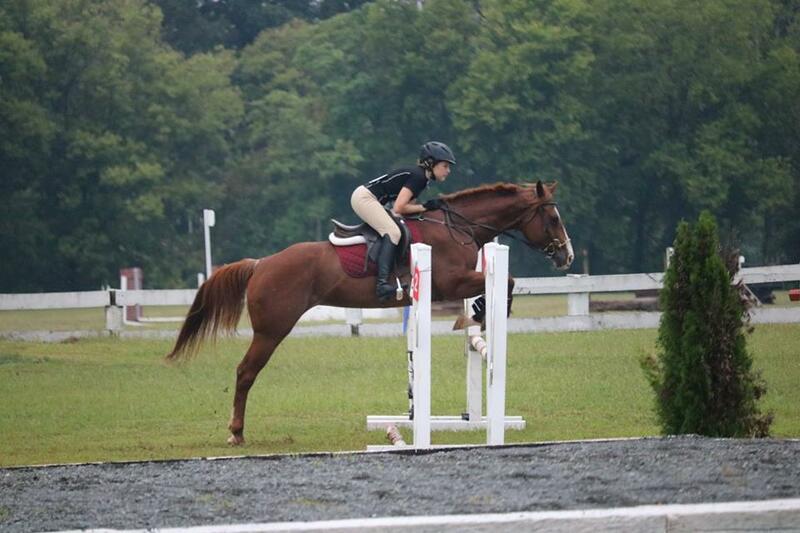 Hunter and equitation classes are performance classes where the rider is judged on his posture and use of form to correctly maneuver their horse either on the flat or over fences. The horse is judged on his form as well. Jumper classes are courses of 8-16 fences and are judged on cleanness of the rails and on the speed of the horse and rider combination. To participate in an off the property event, riders should speak to Mrs. Sue to match up with the proper horse and to decide which classes would be best to enter. Most shows hold divisions for riders which consist of 3 classes that qualify the team to compete for the Champion or Reserve Champion for that division. 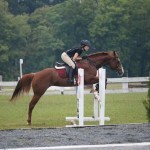 Riders may compete the entire division or do individual classes.